Police detain a group of people at the Place de la Bourse in Brussels, Belgium, April 2, 2016. 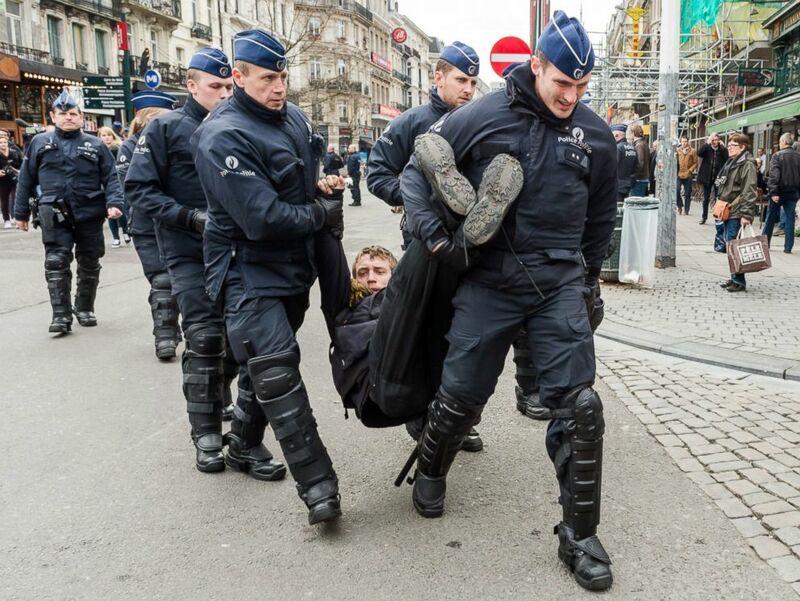 More than 100 people were detained in the Brussels area today, including people tied to a prohibited protest near Bourse Square. Police detain a person at the Place de la Bourse in Brussels, Belgium, April 2, 2016. A demonstration to protest Islamophobia had been planned for today in Bourse Square, but authorities banned all demonstrations, fearing clashes. Policemen detain a man at the Place de la Bourse in Brussels, Belgium, April 2, 2016. Another protest was planned by an extreme right group in the Brussels neighborhood of Molenbeek, which was also banned by authorities. 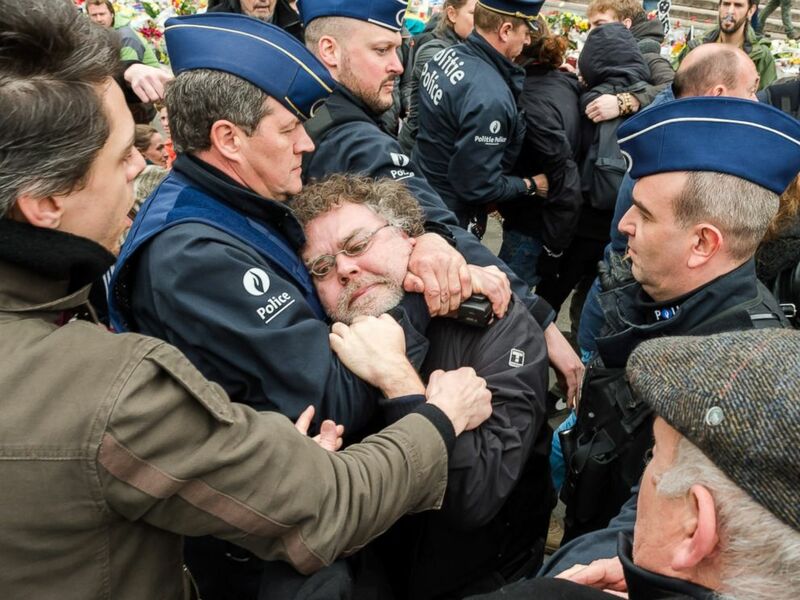 A spokesman for the Molenbeek mayor's office said that besides two judicial arrests in Molenbeek and one judicial arrest in Brussels -- which are considered criminal arrests -- there were also 99 administrative arrests in Brussels and 34 administrative arrests in Molenbeek.